Spoil the one you love with Distinction Dunedin Hotel's Romantic Getaway package, perfect for a date night with your significant other, a wedding night or special anniversary. It also makes a great wedding or honeymoon gift for couples. Distinction Dunedin Hotel is a 2018 Travellers Choice winner. Ranked 11th out of all hotels in New Zealand for ROMANCE by TripAdvisor! 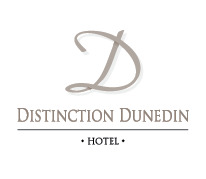 A night for 2 people in luxurious accommodation at Distinction Dunedin Hotel. These spacious Executive Studio's at Dunedin's newest 4.5 star hotel feature a separate rain shower and bath tub for added indulgence. + Enjoy a complimentary late checkout of 12 noon. No refunds are permitted on Romantic Getaway Packages. In the case where cancellation or amendment of a booking is required, the full quoted amount of the reservation will be charged. Guests requiring alternative accommodation dates will need to rebook, no amendments/transfers permitted. Unused package components are non refundable. Full payment will be taken from your credit card at time of booking.